Charity coin collections are a great way to raise funds for your local club, school, hospital and charity. Many people use our service to exchange foreign coins into cash. It’s a very popular way to raise money and one of the most effective of all the charity coin collections. If you want to get together with friends and work colleagues you can quickly collect a large amount of foreign currency to exchange into Sterling. So if you want an easy way to build a significant coin collection then simply get a group of people together and make some money for charity! And because people don’t mind donating what are practically useless old coins it means that your charity benefits even more! We work with many of the UKs leading charities to generate valuable income for them. Our service is fast, simple and secure. We’ll even collect for FREE if your currency is over a certain weight – please see our page ‘How to send us coins‘ for more information. We have a special fundraising team that can give you some great ideas that will make your charity coin collection even more successful. Why not make up posters showing all the flags of the world and a matching collection tin so that people know what coins you are collecting. We mean it when we say that we exchange all foreign coins so don’t worry if you end up with lots of diverse or unusual coins in your tin. And remember, we do all the counting and sorting for you saving you the effort of doing it yourself. Our team is ready now to receive your coins and to give you a valuation. You don’t have to accept our valuation but in our experience we don’t end up sending many coins back to customers. They are usually delighted with the valuation they have received for their charity coin collection that would otherwise be useless. Like most other charities in the UK you are probably always looking out for that next big money making fundraising idea. Well, a charity coin collection can be a real money spinner for you and our team is on hand now to show you just how lucrative it can be. 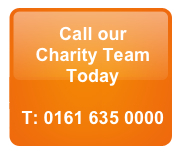 Speak to us today about some of the many charities we have helped. Unfortunately UK banks will not change foreign coins into Sterling but we will. If you want the easiest charity coin collection method then simply send your currency to us and we’ll do the rest. These are just a few reasons why we’re the UKs trusted foreign coin exchange service. We’ll sort and count your coins and then send you payment by Bacs, PayPal (or cheque)… It really is the easy way to turn coins into cash. Simply go to our page ‘How to send us coins‘ and you’ll see just how simple and fast it is.